SN Exports feels truly honored for being selected by one of the world’s best known theatre companies, for supplying costumes for their recently showcased production Morte D’ Arthur, a play set in medieval times. Thomas Malory’s Morte d’ Arthur is the first English version of the legend of King Arthur. 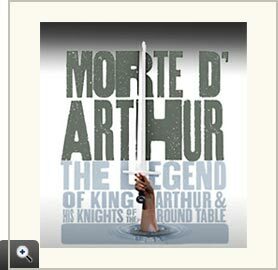 It traces Arthur's rise and fall, from the sword in the stone and the foundation of the Round Table to the Holy Grail. 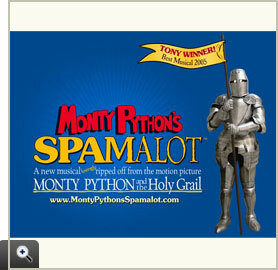 SN Exports very proudly proclaims the use of their Chainmail for the famous TV series 'Merlin' broadcast on the BBC. 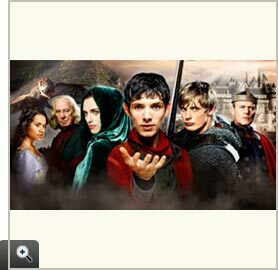 Merlin has been judged as the most hit, family-fantasy drama on BBC One. With its mix of magic, adventure and humour Merlinis perfect for Saturday-evening family television. 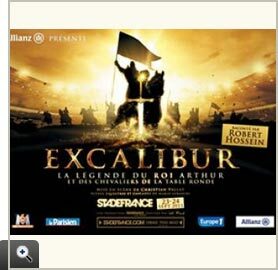 SN Exports very proudly proclaims the use of their Chainmail for several trailers of the epic scale show “Excalibur” organized by the famous French giant stadium “Stade de France”. This gigantic show full of chivalric heroism, romance and magic is already one of the most eagerly awaited shows of the next season. Unfolding upon an 8,000-m² central stage, this family show in 12 pictures will plunge you in the midst of a dramatic, spellbinding medieval ambience. A spectacular succession of stunts, battles on horseback, lighting projections, special effects and pyrotechnics… as well as more intimate scenes, will mesmerise you all by its tale, blending chivalry, love, treason, revenge and magic! SN Exports feels immensely proud for taking credit of supplying armour to the English National Opera for their newly released production “DAMNATION OF FAUST”. 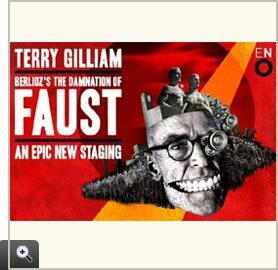 Director Terry Gilliam's much-anticipated production of Berlioz's “THE DAMNATION OF FAUST” was released this year during the month of May . Terry Gilliam, one of the world’s most vivid creative minds has brought his unique directorial style to the opera stage for the first time. “ Damnation of Faust ”, is ostensibly a French opera sung in English, though it’s not really an opera but a légende dramatique by Hector Berlioz — a musical and vocal canvas on which a clever director can paint his own picture. And this is exactly what Terry Gilliam does by turning the whole thing into a history about the rise of Nazism in Germany from World War I to its expression in the violent anti-Semitism of 1930s and eventually the death camps of World War II. SN Exports very proudly proclaims the use of their armour costumes for several trailers of the epic scale movie “ Spamalot ” Winner of the 2005 Tony Award for Best Musical, Spamlot is a new musical , with a book by Eric Idle and an entirely new score created by Eric Idle and John Du Prez.Telling the legendary tale of King Arthur and the Knights of the Round Table, and their quest for the Holy Grail, Python's SPAMALOT features a chorus. SN Exports is pleased to have supplied their armour to the OPERA CAROLINA for their forthcoming production “IL TROVETORE”, intended to be released during October 2011. Opera Carolina is the premiere professional opera company in the Carolinas, presenting three mainstage productions and acclaimed Education & Outreach Programs that reach more than 65,000 citizens in North Carolina, South Carolina and northern Georgia each year. 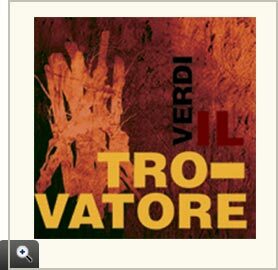 “IL TROVETORE”, (The Troubadour) is a grand opera in four acts by Giuseppe Verdi to a libretto by Salvatore Cammarano, based on the Spanish play El Trovador (1836) by Antonio García Gutiérrez. The Opera is set in Biscay and Aragon, 15th century Spain. Storyline: On opposite sides of a political conflict, and rivaling for the affections of the same woman, the Count di Luna and the troubadour Manrico have no idea they are brothers. Lady Leonora is the woman of their dreams but another would be the sibyl of their inescapable nightmare -- Azucena: a gypsy woman whose mother, at the behest of di Luna’s father, was burned at the stake for practicing witchcraft. Bent on revenge she stole the count’s younger brother at birth and raised him as her son. Little does the impassioned and honorable Manrico know that he will be the chief agent in a vow of vengeance that will destroy everything he holds dear. This is a tale where sweet romance is devoured by a force far more rapturous. This time it is the bitter promise that rests beneath every tongue, lingers on every lip. Kazakhstan film, Myn Bala, by Sataifilm co., directed by Akan Satayev, for which MOVIE ARMOUR has been supplied by SN Exports, is awaited for release this year. This historical adventure film is a unique international project that brings together creative talent from the East and the West. 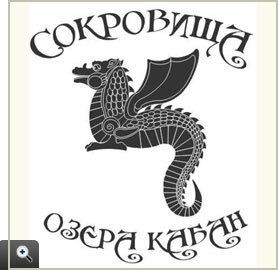 It is Khazakastan’s top priority this year in terms of creativity and production resources. Myn Bala is a universal story about the freedom of the human spirit and the struggle against slavery and despotism, about love, loss and betrayal as seen through the eyes of simple Kazakh kids and teenagers. Story: A simple Kazakh youth, Sartai, is fated to become involved with global historical events and finds himself at their center. He assembles a legendary detachment of teenage warriors called Myn Bala: A Thousand Boys, and later he becomes a legendary, heroic military commander. The film is based on the beautiful legend of khan's lost treasures. According to the film producer and originator Andrei Nikolayev, it is due to be released December 25 , 2012. SN Exports feels honored to be able to proclaim their recent collaboration with one of the most famous theater of the French Riviera : Nice National Theater. It has been a pleasure to supply costume and accessories to their magnificent adaptation of the greatest seventeen century French dramatist’s first masterpiece : Pierre Corneille’s Médée. Paulo Correia offers us a dramatic and spellbinding show full of betrayed love, vengeance and magic. 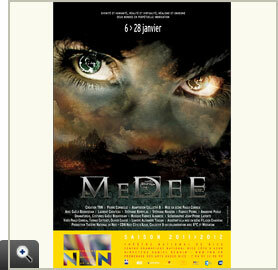 Médée, Nice National Theater’s ajor show for winter 2012. 6 > 28 January 2012. 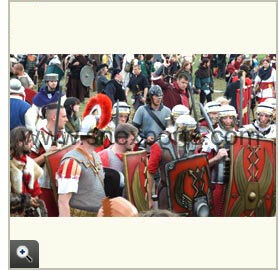 SN Exports is now actively supplying to LARP, SCA and Re-enactments. We take immense pride in publicizing that Russian movie TSAR: IVAN GROZNY AND MITROPOLIT FILIPP, for which SN Exports had supplied all the Chainmail, was being officially selected to be showcased at the prestigiousFESTIVAL DE CANNES, 2009. TSAR: IVAN GROZNY AND MITROPOLIT FILIPP, a Russian film by Pavel Lungin is set in 1565. It depicts the dark times when Russ is reigned by Tsar Ivan the Terrible. The film is about most dramatic episodes of the Russian Tsar Ivan IV's rule: his relationships with Metropolitan of Moscow Philip (Kolychev) and his struggle against dissidence. We invite all our clients to send us their action pictures in which our products are being used and to get famous. If lucky they can even claim an award worth $ 200 each month. You send us your action pictures wearing / using products bought from SN Exports. We’ll post the appropriate ones on our website and make you famous. Our staff would pick one best picture out of all the received during that month and the best picture sender can claim an award worth $ 200 from us. 1.It can take us some time to post your action pictures on our site. Your patience shall be appreciated. 2.The day, on which we receive your action picture, shall determine which month you are eligible for the award. 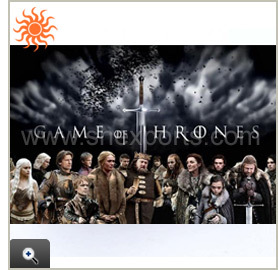 3.Not all, but appropriate action pictures that are sent will be posted on our website. 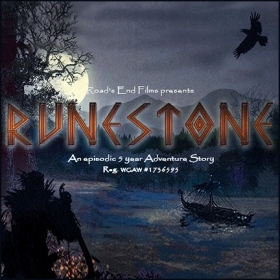 SN Exports is now actively supplying to Runestone.